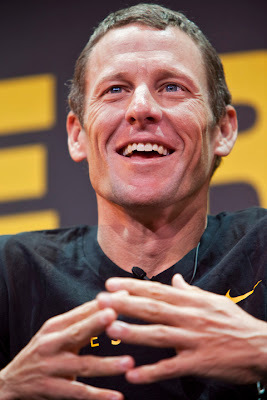 LA Photo: Lance Armstrong Visits L.A. 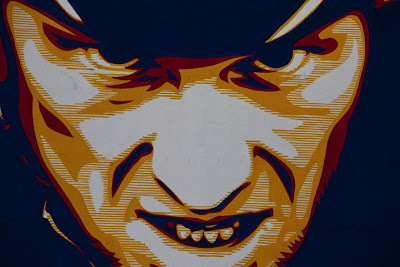 Bicycle racing legend Lance Armstrong, along with 700 supporters, rode down the streets of Hollywood to launch the Lance Armstrong Foundation's Global Art Exhibition. 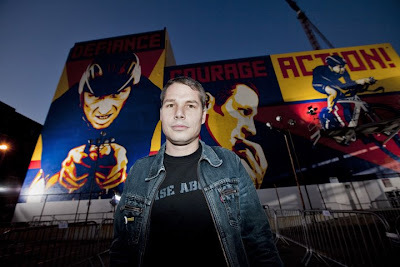 The ride ended at the Motablan Hotel in Hollywood where artist Sheppard Fairey has three new giant murals of Lance on the side of the hotel. Lance spoke to a crowd of his supporters about his adversity with cancer, the Livestrong yellow band, bike racing, growing up in Texas, and his new love of art collecting. Lance also spoke about "finally feeling at ease" and his passionate speech was often punctuated with rare smiles. 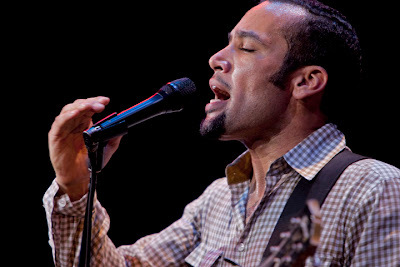 Ben Harper, a close friend of Lance, played several songs for the crowd. Ben's magical shaman like performance had him playing two different lap steel guitars and a twelve string acoustic with no pick along with several other beautiful guitars. Also spotted were Ben Stiller, Laura Dern, and Patrick Dempsey.